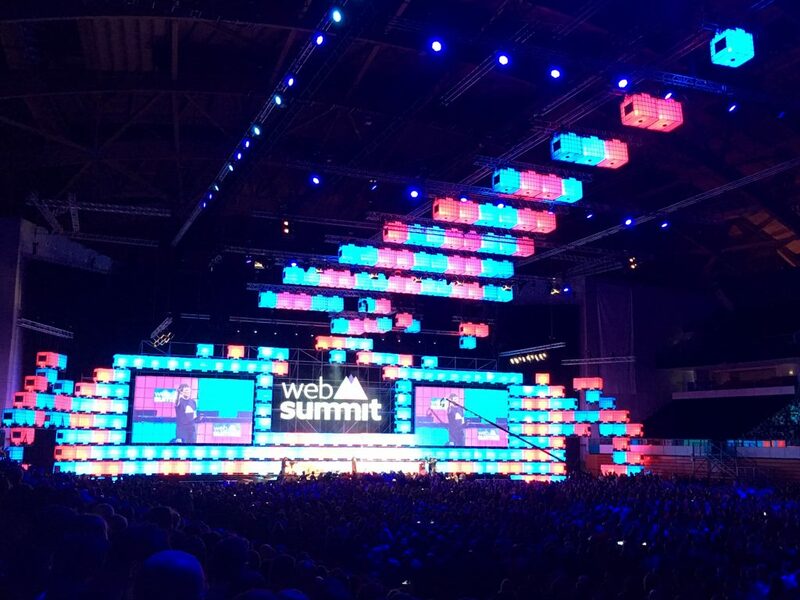 A steady attendee of Le Web conference in Paris, and living its rise and death in a wet but always sparkling Paris in December, I decided to throw myself, for the first time, into the #websummit, alongside other 50,000 people that enjoyed this year the warm sun of Lisbon instead of the foggy Dublin. Fighting my agoraphobia and the rigorous Portuguese security people each morning, I let myself absorbed into the web geeks’ talks that continue to inspire so many, and frighten so many others in the same time. I think the conference itself reached its scope, though its organisation missed the glamour and fizziness of Le Web, but was set to allow young entrepreneurs standing their chance. The presence of politicians from Portugal, European Commission and other International Organisations that looked together with the web pundits at how technology affects politics, but in the same time, how policy would impact the web technology in the future, showed a better understanding from the policy makers of this new ecosystem that was left till recently with the millennials.